Brief Description: YEAR 2008. 34" CUTTING WIDTH. 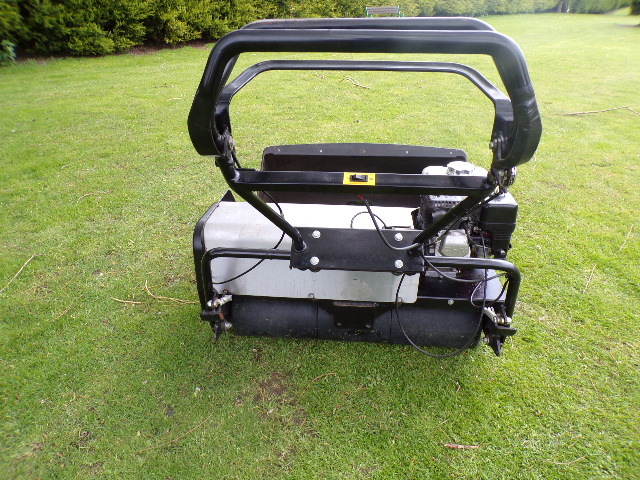 4.8HP HONDA PETROL ENGINE. 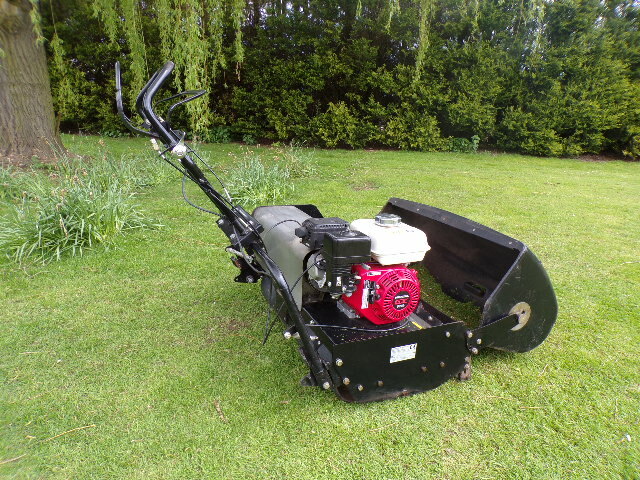 8" CYLINDER 6 BLADES. ADJUSTABLE HEIGHT OF CUT. ADJUSTABLE WITH ANTI VIBRATION MOUTINGS HANDLE BAR. REAR ROLLER 3 PIECE RUBBER COVERED WITH STEEL SPUR GEAR DIFFERENTIAL. 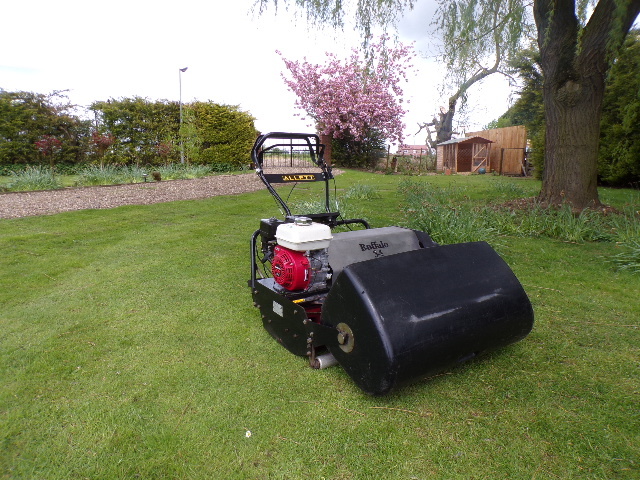 More Information: A great all-round cylinder mower in the Allett range. 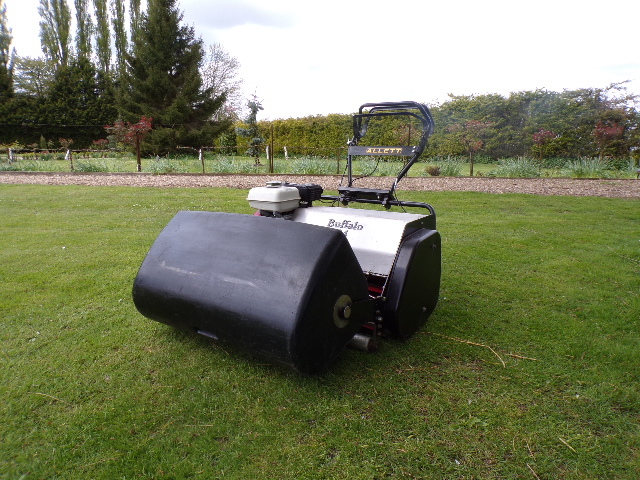 200mm (8in) diameter cutting cylinder with 8 blades � can cope with wet conditions. Height of cut adjustable from 10mm-40mm (0.4in to 1.5in). 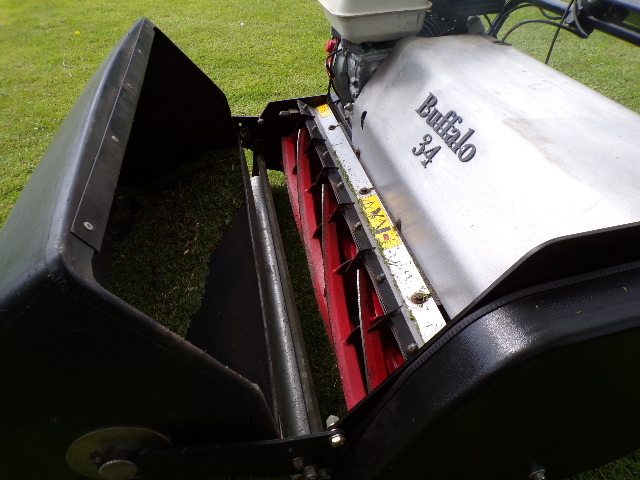 The Buffalo truly is the great ‘all-rounder� in the Allett lineup, capable of producing a first-class finish across a wide range of grass types and mowing conditions, even wet conditions. 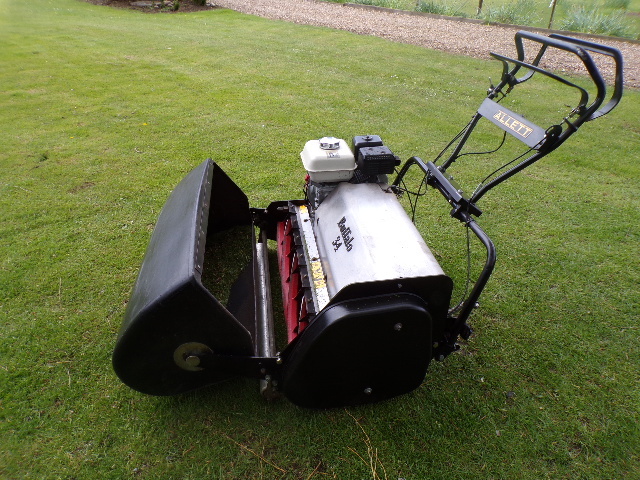 Combining a wide cut with low weight, the Buffalo machines are ideal for maintaining larger, sensitive areas such as sports grounds and prestige lawns and can be seen mowing the pitches at grassroots level to some of the world’s biggest clubs. Engineered to operate effectively at low engine speeds the Buffalo delivers low fuel consumption, noise levels and vibration.